Transitions back to school can be difficult after a summer of changed routines. When it’s time to go back to school and reset day-to-day routines, a visual timer can make all the difference in timekeeping and easing the stress of structuring activities for your child or student. This week only, we’re taking 15%* off your order of the 3-inch, 8-inch, and 12-inch Audible Time Timers to help you help your learner with their transitions. Just enter promo code TIMETIMER at checkout to redeem your savings! Recommended by Autism and ADHD experts, the Time Timer is entirely intuitive to use. 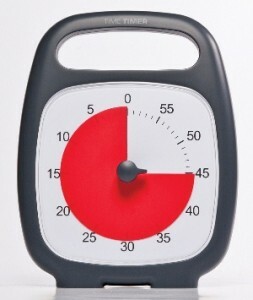 This visual timer is great at solving time perception problems at all ages and ability levels, and is perfect for easy portability and in one-on-one and group settings. A graphic clock-face gives the child visual understanding of time elapsing. This is ideal for timed activities and for getting ready. When the colored portion elapses, time is up. 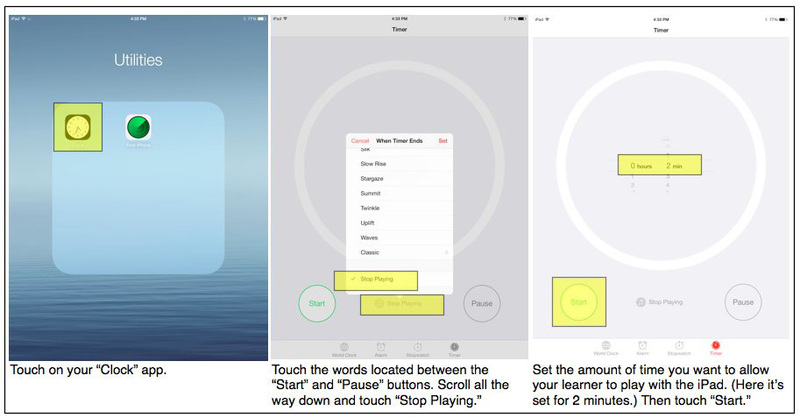 There is also an optional audible component that you can turn on so that the timer BEEPS when time is up. 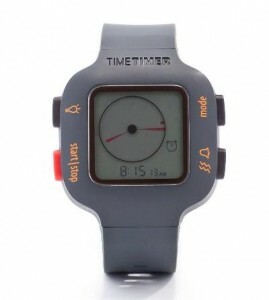 All Time Timers run on battery-operated quartz movement, and can be free standing or hung on a wall. Don’t forget to save 15%* on your purchase of the 3-inch, 8-inch, and/or 12-inch Audible Time Timers this week only by using promo code TIMETIMER at checkout! Read “Time Timer: Time to Build Independence,” an exclusive article by a parent about how she used the Time Timer to help her son challenge himself to get through a timed activity. *Offer is valid until 11:59pm EDT on September 9th, 2014. Not compatible with any other offers. Be sure there are no spaces or dashes in your code at check out! As our kids and students prepare to go back to school, we thought it was the perfect time to share this wonderful guest post on transitioning into a new school or classroom, submitted to us by Bridge Kids of New York. Read on below for exclusive tips on how to best help you and your child have a smooth transition back to school. When your young child enters into a school or daycare setting for the first time, the transition can be challenging for both you and your child! This may be the first time your child has had to navigate a new environment without your support and it may be the first time you have had to entrust your little one to someone else. Of course this has the potential to be stressful for everyone involved! Try to meet with your child’s teacher prior to the first day of class. Discuss your concerns, goals, and values. Share important information about your child and ask the teacher to fill you in on any key information you should know about the classroom and/or the teacher’s approach. This conversation may help to ease your anxiety and build trust between you and your child’s new teacher. Establish a communication system. Talk to the teacher and/or the school’s administration to determine the best means of exchanging important information and find out how frequently you can expect communication. This will help to establish trust, create consistency between home and school, and keep you informed as to all of your child’s triumphs! Have a game plan for the first week of school. Although we certainly hope you and your child will transition to school without any difficulties, we always advise that you be prepared just in case! Expect that the separation may initially be challenging for your child. Talk to the teacher and school administration ahead of time and develop a plan for how you can help your child to be successful. Rather than waiting for a difficult and emotionally-charged situation to arise and then reacting to it, we suggest that you take proactive measures and develop a plan when both you and your child are calm. We highly recommend that you consult with a Board Certified Behavior Analyst when developing this plan to ensure its integrity as well as the safety of all involved. Try to remain calm and confident for your child. Children are often very good at reading our moods, emotions, and energy. If you enter into the school transition with outward uncertainty and nervousness, you may send your child the message that he should feel the same way. Instead, try to remain calm and positive about the change—model the behavior you want to see. Prepare your child for the transition to school. Discuss this new chapter in a way that expresses excitement and positivity. Provide your child with clear information on what to expect. Surprises or confusion can make this process more challenging for your child so do your best to help him understand what will happen. Create a “Going to School” storybook. Consider creating a fun storybook to help your child get ready for this new transition. Your storybook can include both text and pictures of the school, your child’s teacher, your family, and even some of his classmates (with consent from those parents, of course). You will want to provide your child with a step-by-step guide for what to expect. Using actual photographs may help your child to feel familiar with the school environment before the first day. We suggest reading this storybook to your child for at least 1-2 weeks prior to starting school, in the morning before school, and again after school until he/she is adjusted. 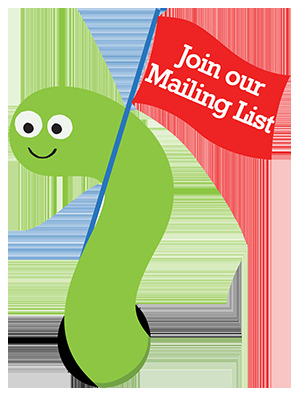 You may even send the storybook to school with him. These types of books help to provide important information and also serve as a cue to remind us to talk about it! Practice separating from your child in familiar environments. If separation is very challenging for your child, you may want to consider practicing this separation in a familiar environment. It may be overwhelming for your child to adjust to separation from you and the introduction of a new environment and new people all at the same time. 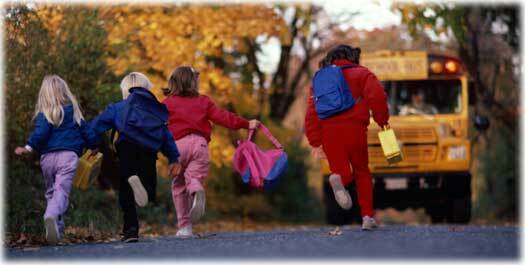 In preparation for school, try separating from your child in environments where she already feels safe and secure (e.g. in your home). Provide your child with lots of praise and reinforcement for separating from you calmly and successfully! Gradually increase the length of separation. Some children benefit from gradual and systematic separation. You may initially just try walking out of the room for 10 seconds, then 30 seconds, then 1 minute, and gradually increase from there. Try to engage your child in a favorite activity before separating. By doing this, you are pairing the separation with something your child enjoys, which may make the separation itself less aversive. 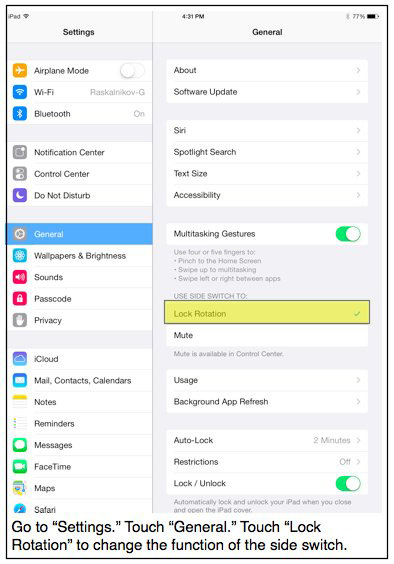 It may also serve as somewhat of a distraction, so your child is less likely to focus on your absence. Remember to do this proactively, not in response to problematic behavior. Important Note: The tips outlined in this post are proactive measures only. We hope that applying this advice will help to prevent or reduce interfering behavior and set your child up for success. However, despite these proactive measures, some children may engage in interfering behavior that is dangerous to themselves and/or to others. We do not recommend implementing a procedure that may result in an unsafe situation. For this reason, we highly suggest you consult with a Board Certified Behavior Analyst (BCBA) prior to implementing intervention procedures. A properly trained professional can assist you in keeping the situation safe while helping your child to be successful. We hope these pointers will help to make the school transition smooth for both you and your child! Of course this list of tips is not comprehensive and our behavior team is full of other suggestions, so feel free to contact us for support! You may find our upcoming Seamless Separation Workshop to be helpful! Click here to register for this FREE workshop. We understand that every child and family is unique and that successful transitioning may need to be individualized based on your unique needs. We are always here to help! For more information about Bridge Kids of New York, please email info@bridgekidsny.com or visit www.bridgekidsny.com. 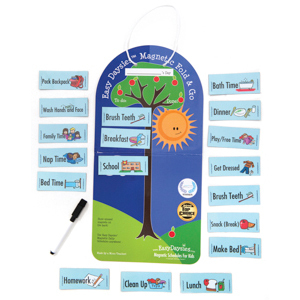 Pick of the Week: EasyDaysies Magnetic Schedule Plus Add-On Kits—Get off on the right start for school! Help your child structure their daily routines to get off on the right start for school with the EasyDaysies Magnetic Schedule. Teach independence, responsibility, self-discipline, and sight-word recognition with this handy magnetic chart. And you can save 15%* on your order of the EasyDaysies Magnetic Schedule, along with its three add-on kits: Chores & Special Times, Family & Extracurricular Activities, and Get Dressed & Bathroom Routines, when you enter promo code EASYDAYS at check-out online. The EasyDaysies Magnetic Schedule comes with 18 magnets covering everyday activities such as “get dressed,” “do homework,” and “bath time.” You can also use the “To Do” and “Done” columns as a reward system. The add-on kits offer an easy way to schedule daily chores, routines, and events, and helps to keep track of a child’s earned special times. Chores & Special Times Add-On Kit comes with 21 amazing and durable illustrated magnets: Book/Quiet Time, Clean Bathroom, Clean Bedroom, Computer Time, Dishes, Feed Pet, Field Trip, Garbage/Recycling, Help Set Table, Put Clothes Away, Sweep/Vacuum, TV Time, Walk Dog, 2 blank magnets, and 6 blank clock magnets. Family & Extracurricular Activites Add-On Kit comes with 18 durable illustrated magnets: Dance, Dentist, Doctor, Gymnastics, Martial Arts, Movie Night, Music, Party, Play Date, Play Outside, Shopping, Skating/Hockey, Soccer, Sports, Swimming, and 3 blank magnets. Get Dressed & Bathroom Routines Add-On Kit comes with 18 helpful, prompting magnetic components, such as: Coat, Comb Hair, Dress/Skirt, Dry Hands, Flush, Lights Off, Pants, Pull Down Pants, Pull Up Pants, Sit on Toilet, Shirt, Shoes, Sock/Stockings, Underwear, Wash Hands, Wipe, and 2 blank magnets. Don’t forget to redeem your savings this week on the EasyDaysies Magnetic Schedule and the supplemental packs for chores, family and extracurricular activities, and getting dressed and bathroom routines by entering our promo code EASYDAYS at check-out! *Offer is valid until 11:59pm EDT on September 2nd, 2014. Not compatible with any other offers. Be sure there are no spaces or dashes in your code at check out! Summer is winding down and for most it’s time to get back to a routine. For many of our students and children that means getting a handle on a busy new schedule of self-care, school, therapy sessions, extra-curricular activities, play dates and special occasions. A visual schedule or an activity schedule can help pull all of the parts of a hectic day together for a child and increase independence, build organizational skills as well as improve comprehension skills. A visual schedule provides clear expectations, utilizes a child’s visual learning strengths, can reduce anxiety or difficulty with transitions, and can increase flexibility. This week, we’re offering a 15% discount on some of our favorite products to help you get a visual schedule up and running. Just enter the Promo Code BLOGVS13 to redeem your savings and get organized. Clear Schedule with Token Strip: This is an option that is easy and portable for those who want to customize and create their own schedule pictures. There is a token economy that runs alongside which is great for learners who require a thick schedule of reinforcement and need to earn a token for each step of the schedule and can be used for any age. On Track! 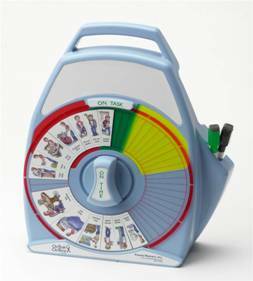 Responsibility & Behavior System: This product is a great tool for children 8 and up. It is a wonderful resource for keeping the whole family on track across multiple daily routines and behavioral objectives. The detailed instructional guide walks you through the implementation and execution of the system is an added bonus. EasyDaysies Magnetic Schedule for Kids: The simplicity of this is fantastic. 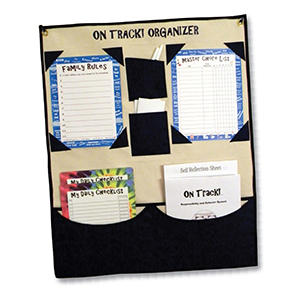 The Magnetic Fold & Go schedule board travels with you easily and can adhere directly to any metal surface. The imagery is very clear and easy to understand and the To Do and Done Columns are intuitive and easy for even the youngest child to use. 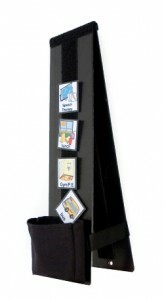 The starter kit includes 18 magnets that cover all the basics in your learner’s daily routine but as proficiency increases there are supplemental packs are available to include more specific magnets covering Chores & Special Times, Family & Extracurricular Activities, and Get Dressed & Bathroom routines. *This offer expires on September 24, 2013 at 11:59 pm EST. Not compatible with any other offer. Be sure there are no spaces in the promo code at check out! Pick of the Week: New Time Timers – On Sale! New products from Time Timer AND a sale? What words go together better than that? We’re thrilled to introduce you to three new excellent products that raise the bar on that workhorse of a visual timer we’ve all come to love and depend on. The brand new Time Timer PLUS comes with a portable handle, volume control for an optional alert when time is up, and a protective clear lens to protect the signature red disk. The Time Timer PLUS operates silently with no ticking and measures 7″ x 9″. The Time Timer PLUS contains all of the features you love and trust about the original timers with a fancy new makeover for only $36.95. 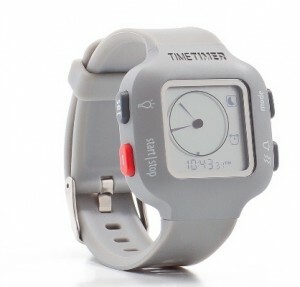 Another new and highly anticipated member of the Time Timer Family has arrived – The Time Timer Watch Plus for youth. In two lovely colors – light grey with white lettering or dark grey with orange – the Time Timer Watch PLUS allows you to watch your time and see it too. The watch has a sporty design and uses simple icons and a large display to ensure ease of use for all age and ability levels. Ideal for anyone who wants a discrete and portable visual timer, the Watch PLUS is customizable: there are two Time Timer modes (Original 60 minutes and Customized), vibrating and/or audible alerts and repeatable time segments for interval training. There is also a 12- or 24-hour clock with one alarm. The soft, silicon watch band measures from 4.75″ to 7″ making it perfect for children or adults with small wrists. This week only, save 15% on the new Time Timer PLUS and the Time Timer Watch PLUS by entering the Promo Code BLOGTTN7 at checkout. Hurry! Offers like this don’t last too long. *Offer expires on March 19, 2013 at 11:59 pm EST. Not compatible with any other offer. Be sure there are no spaces after the Promo Code when you enter it at checkout. 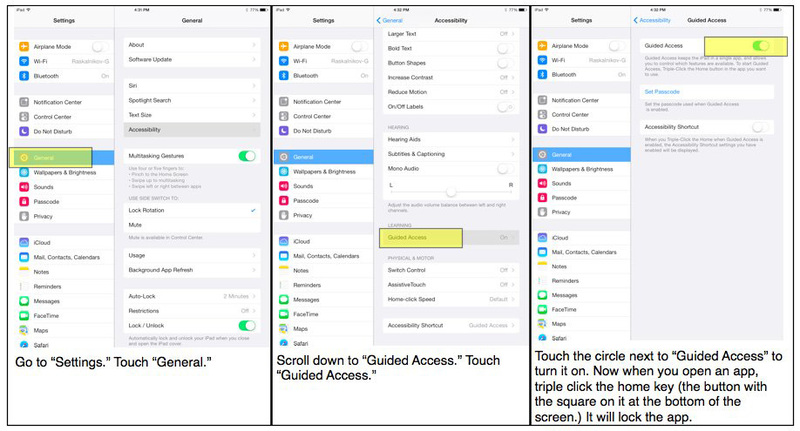 Help your child gain independence with the brand new On-Task On-Time scheduler and timer. This is a unique time management system that organizes three important routines of the day during the Morning (getting ready for school), Afternoon (school to home transition), and Night (getting ready for bed). Just apply one of the 52 task stickers on the routine disk, insert the disk to the unit and the individualized schedule for your child is complete. Turn stressful transition times into structured, self-esteem building experiences. Each unit includes the timer, 3 routine disks, a set of boy and girl stickers, two markers, and a wall hanger. This week only, save 15% on this great new scheduling tool – the On-Time On-Task Timer – by entering the Promo Code BLOGONTOT at checkout. *Offer expires on October 10, 2012 at 11:59 pm EST. Not compatible with any other offer. Be sure there are no spaces after the Promo Code when you enter it at checkout.